Blue and green window pane pattern pocket square. 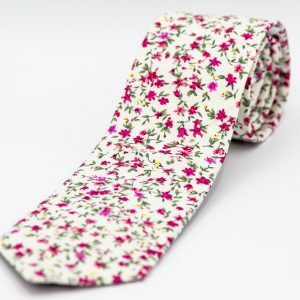 Deep Red floral pattern on white tie. 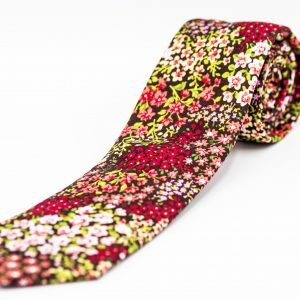 Red and Black large flower lapel pin. 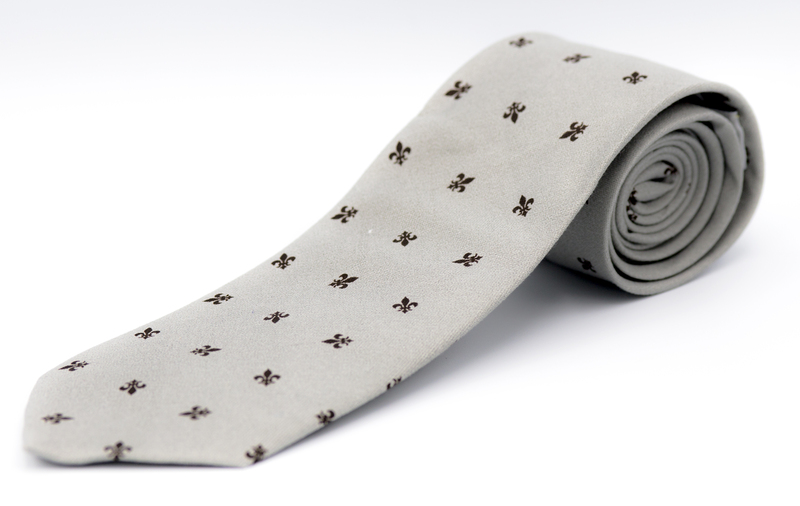 Taking the red eye flight for an important meeting? 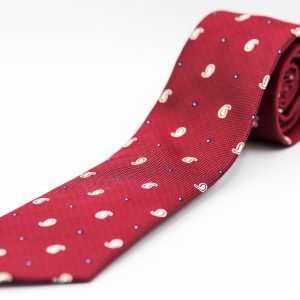 Show them you mean business with this red paisley accented tie. 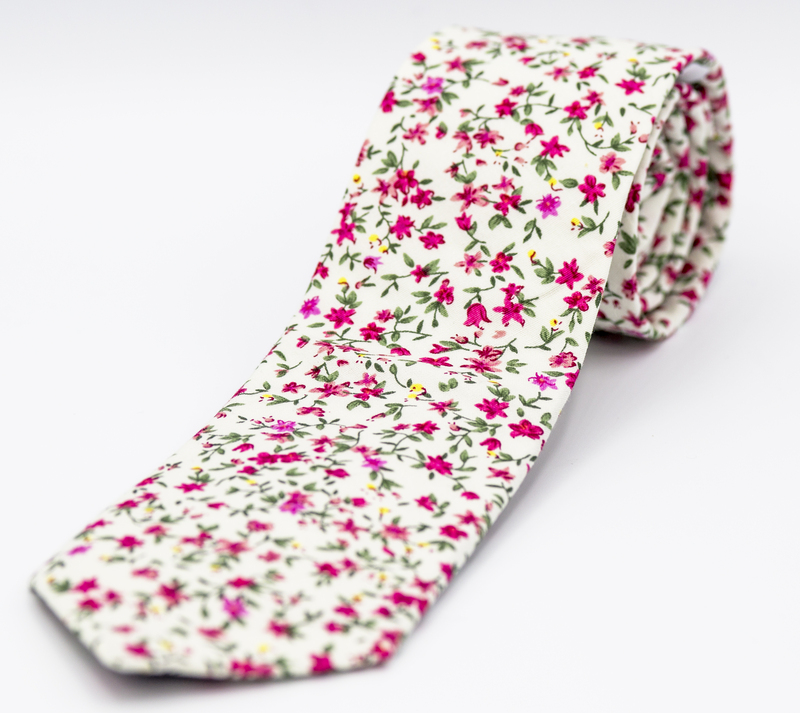 Not only will you crush that presentation, but you will do it in style. 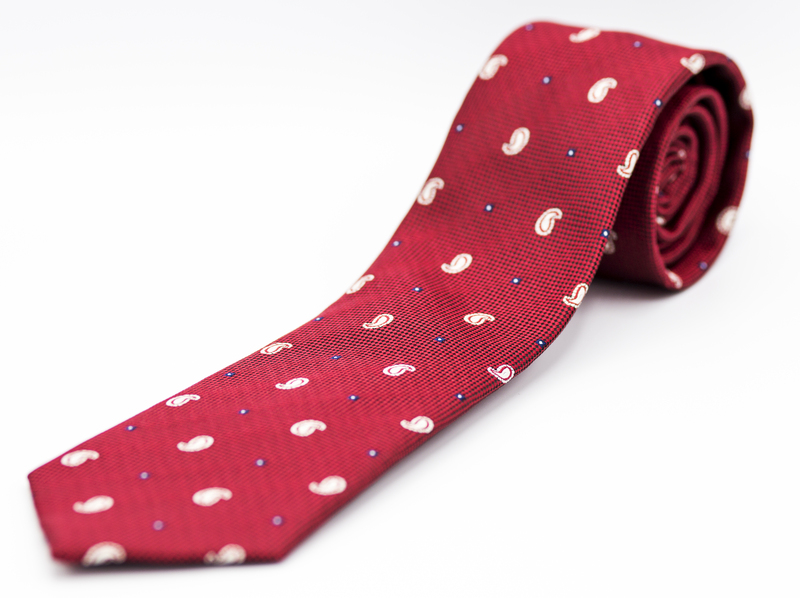 This red and white paisley tie will perfectly accent any black, gray, charcoal, or blue suit. Large Red Rose design lapel pin. 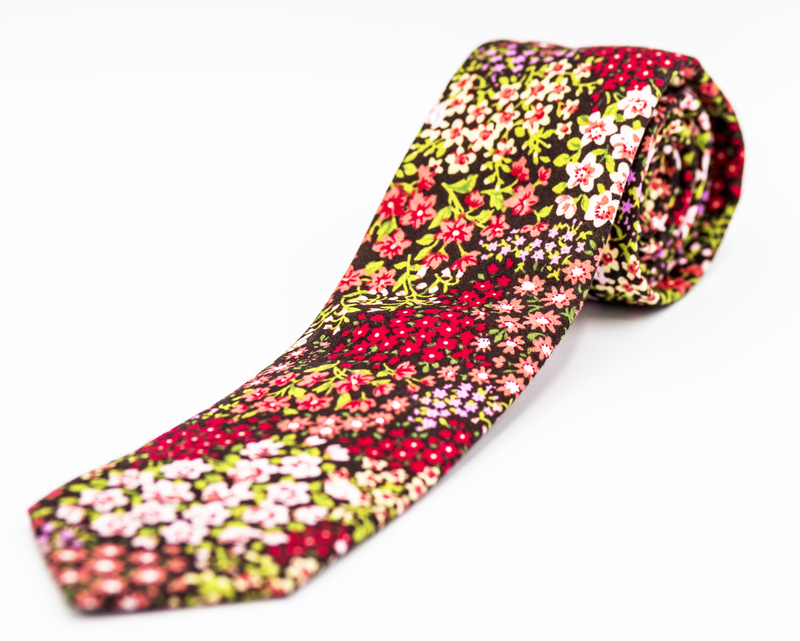 Various floral patterns in red and pink. 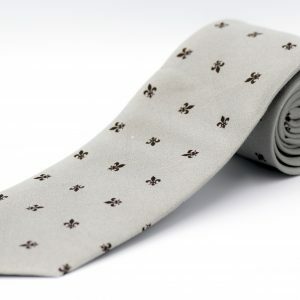 You go to battle every day, why not show your royal knighthood with this stylish gray and brown fleur de lis design. Don this shadow knight and prepare to win the day. 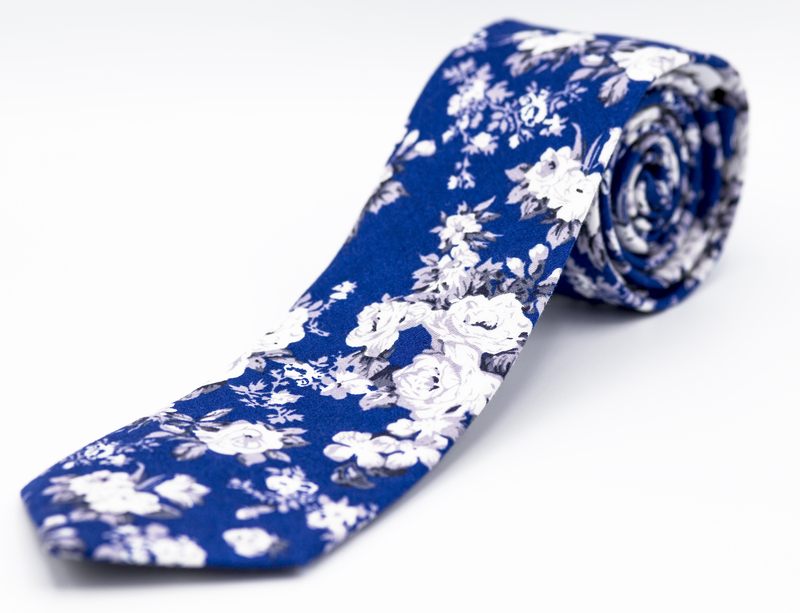 Orange floral pattern pocket square. Large white rose design on silver metal lapel pin. 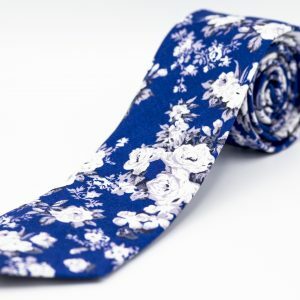 Royal blue tie with white floral designs.